Guitarist Chuck Loeb earned merits as jazz guitarist in groups such as Metro, Steps Ahead or Stan Getz’s band. Really popular however became Chuck by his solo albums as prolific smooth jazz guitarist and as member of the supergroups Fourplay and Jazz Funk Soul. His new album Unspoken (2016) is the reflection about his recent illness and the intensified and renewed enthusiasm for his first love, music. This passion is shared by bassists Ron Jenkins, Will Lee, Nathan East and Thomas Kennedy, drummers Gary Novak, Brian Dunne, and Joel Rosenblatt, keyboardists Jeff Lorber, Brian Culbertson, Pat Bianchi, and Mitchel Forman, guitarist Michael Thompson, saxophonists Eric Marienthal, Everette Harp, Andy Snitzer, David Mann who also did most of the horn arrangements, trumpet players Till Brönner and Tony Kadleck and Mike Davis on trombone. Carmen Cuesta sings a song written by Lizzy Loeb (Lizzy Cuesta) and Christina Loeb and Chuck co-wrote a song that she plays ukulele on. The starting tune is dedicated to Chuck’s favorite jazz place to play, the Cotton Club in Tokyo. He composed the tune together with Jeff Lorber keeping it in the spirit of Weather Report’s Birdland. Don’t stay looking for something new, when the old is tried and tested offering a timeless radiant artistry. The Hitmaker Is Back! 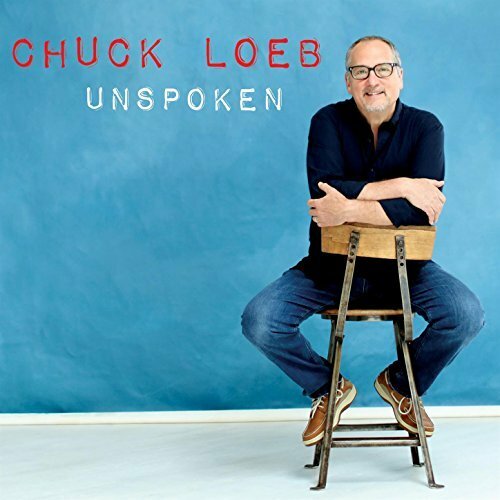 With over 30 top ten Smooth Jazz radio hits to his credit, including an incredible 20 #1s, Chuck Loeb is truly an icon and pioneer of the Smooth Jazz genre. Unspoken features guest appearances by Smooth Jazz superstars Brian Culbertson, Jeff Lorber, Everette Harp and Eric Marienthal, plus the great Will Lee (of David Letterman fame). In addition, the album features vocals by Carmen Cuesta (Mrs. Loeb), whose sensuous vocals have resulted in her own growing fan base. Pre-order your album now at Amazon.com. 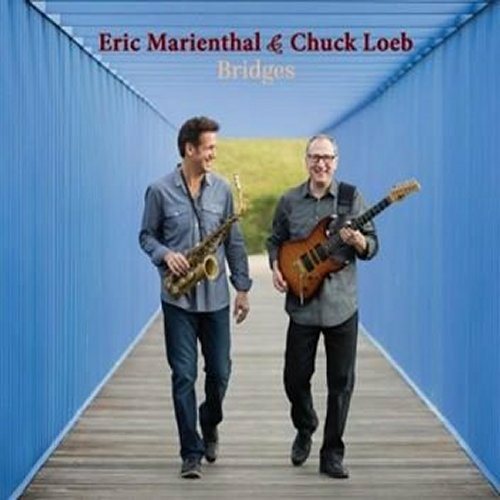 Saxophonist Eric Marienthal and guitarist Chuck Loeb are both veteran musicians of the smooth jazz and contemporary jazz world. Who should do the extra work to count their albums, will have a Sisyphean task. Both have performed or written on more than 50 singles in the top ten smooth jazz charts. Although both have shared stage on many events and also played on albums together, Bridges is their first joint venture. The album starts with the dreamy Westward. With pizzicato guitar strings and soprano sax Eric and Chuck create a sound atmosphere in soft shades. 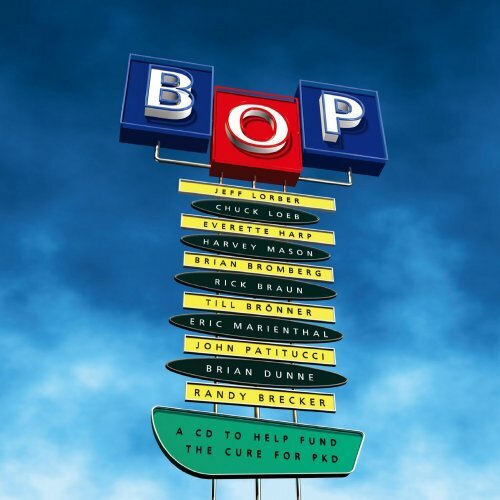 The romantic Crossing features Byron Landham, John Patitucci & David Charles. This tune will be the first single of the album. Chuck Loeb has long been a soft spot for the Spanish music. This he lives entirely on Puentes. 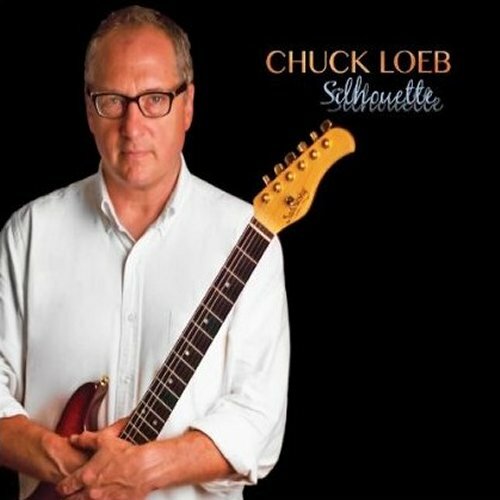 Guitarist Chuck Loeb is well known as jazz guitarist in groups such as Metro, Steps Ahead or Stan Getz’s band. But he became popular by his solo albums as smooth jazz guitarist. His participation in the group Fourplay is a fruit of this popularity. Exploring different facets of jazz might be joyful, but to earn money with smooth jazz is the real deal. On the new album we discover Chuck’s companions like David Mann, Eric Marienthal, Andy Snitzer (sax), Mitchel Foreman (keyboards), but also his family members Carmen Cuesta and Lizzy Loeb. On Silhouette Chuck easily adapts the style of Fourplay, he has helped shape who also influenced him. Chuck follows this exciting joy ride on Silver Lining. Listen to Fourplay’s Bali Run and you know what I mean. David Mann adds some Smoothness on sax.